It all began in Potsdam. The company's history is the story of Grit and Ingo Schleuss, the German founding couple. It began with their own store in 1995 in Potsdam, Germany. There, they ran a textile finishing company until their emigration to New Zealand four years later. The company in Potsdam is still open today and led by a friend. It is now known as Bird Shirt Embroidery & Printing. When the two arrived to New Zealand in 1999, they founded the Company Branding Shop (CBS). Their success story was complemented by the acquired brand "KAPINUA" in 2012. A highlight in the company's history is undoubtedly the year 2008: CBS got the special order to design and manufacture the New Zealand Olympic Teams Uniforms as official outfitter for the athletes in Beijing. 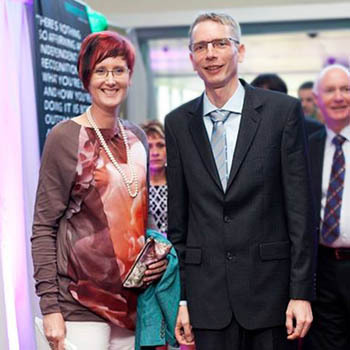 In the same year, the company received the Electra Business of the Year Award, an annual entrepreneurs award for the Kapiti-Horowhenua region. The success corporate history of KAPINUA as a textile processing company has been noticed up to Germany in newspaper articles, blogs and television reports. The CBS and KAPINUA production facility is located in Levin, only an hour north of Wellington and easy to reach via State Highway 1. The design and production team at our T shirt printing company work hard in order to make your t shirt designs and custom printed sportswear a reality. In the affiliated store numerous textiles such as T-shirts, jerseys, polos, shirts, longsleeves, hoodies, jackets, hats or flags can be individually printed or embroidered. 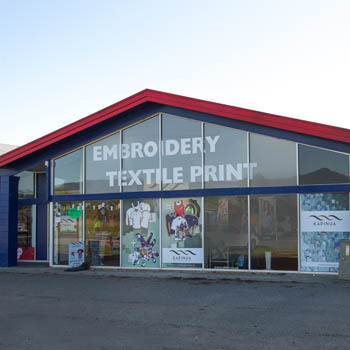 In addition to the modern sublimation printing process, our services include screen printing, foil transfer printing, flock printing or embroidery. Our team is available for individual and personal advice at any time. We are the right people to meet your particular needs on customised printed apparel, with the latest technology, our innovative online 3D shirt designer tool and our long term experience in sublimation printing. And the best for last: We now also deliver overseas, directly to your doorstep! Ready business solutions – corporate apparel for you! As well as KAPINUA, ShirtNZ is a brand under the umbrella of Company Branding Shop, Ltd.. ShirtNZ offers corporate clothing for offices as well as health and aged care professionals for the local New Zealand market. You can check out our range in our shop in Levin. We are happy to personally advise you on business apparel optimally suited to you. Besides our shop, the need was identified to sell our corporate range in an online fashion shop that is accessible 24/7. Boring days at the office are over, with the BIZ Corporates and BOULEVARD range, we are making it fun to confidently style your staff. Coordinate shirts, blouses and jackets with matching scarves and ties and set accents with coloured belts. Your team can wear everything from corporate Mondays to casual Fridays. Still, you will have everybody matching! 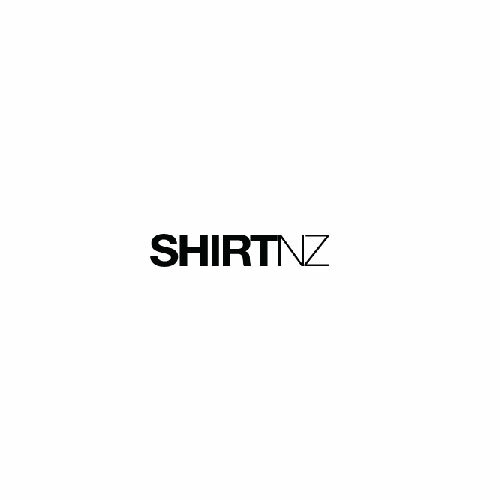 ShirtNZ – we dress professionals.